Architectural window films eliminate light passage into the building and make you feel it is night time on sites that need to be nocturnal. Architectural window films can reduce light passage by 50% or more. Architectural window films reduce excessive energy use. Architectural window films act as a solar energy controller. It controls the passage of solar energy into the room. Architectural window films can provide energy savings of 5-15%. 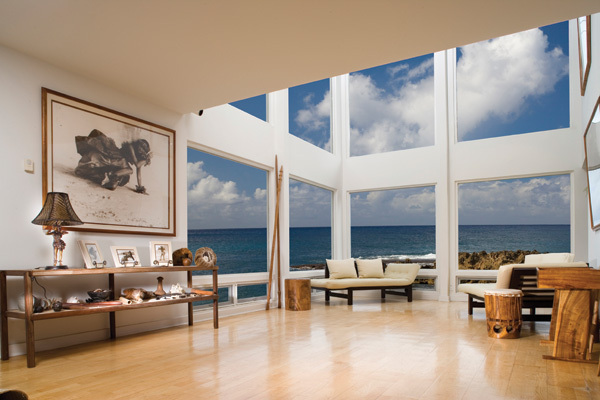 Architectural window films connect the indoor environment to the outdoor by letting daylight inside buildings that need it. Architectural window films help to significantly reduce, if not totally eliminate, the need for closed blinds or shades. Architectural window films adhere to the standard set by the Environmental Protection Agency (EPA) for Energy Star Rating requirements. Energy-efficient products that adhere to LEED Certification prerequisites ensure that greenhouse gas emissions are reduced and there is an efficient use of energy. Architectural window films guarantee energy-efficiency, performance, and comfort for the consumer. For many years, architectural window films were used specifically to lessen solar heat collection at the same time as saving energy. Window films started to play an important role for various companies to apply for green building certification when green building and sustainable development standards were introduced. The required LEED certification is called LEED-EB for existing buildings. Leadership in Energy & Environmental Design (LEED) is a globally-recognized green building certification program overseen by the US Green Building Council that gives credit to best building strategies and practices. To qualify for a LEED certification, prerequisites must be completed by the building project and points must be earned for each level of certification. The level of certification is dependent on the points earned by the project. For certification alone, 40-49 points are required; for silver, 50-59 points; 60-79 points for gold; and 80+ points for platinum. For architectural window films that adhere to LEED certification requirements in the greater Seattle area, call ABC Sun Control, Inc.